In addition to being regulated by the Fair Debt Collection Practices Act (FDCPA), Minnesota collection agencies are also regulated by Minnesota debt collection laws. Discover: Minnesota collection requirements, bad check laws (NSF), statutes of limitations for both debts and judgments, garnishments plus Minnesota collection agency license and bonding information. Subdivision 1. Terms. The terms in this section for the purposes of sections 332.31 to 332.45 shall have the meanings given them. Subd. 2. Person. “Person” means and includes individuals, partnerships, associations or corporations. Subd. 6. Collector. “Collector” is a person acting under the authority of a collection agency under subdivision 3, and on its behalf in the business of collection for others an account, bill, or other indebtedness except as otherwise provided in this chapter. Subd. 7. Exempt out-of-state collection agency. “Exempt out-of-state collection agency” means a collection agency that has no physical presence in this state, that is engaged in the business of collecting claims on behalf of creditors that have no physical presence in this state, and that only conducts business within this state by means of interstate communications including telephone, mail, and facsimile transmission. § 332.311 TRANSFER OF ADMINISTRATIVE FUNCTIONS. The powers, duties, and responsibilities of the consumer services section under sections 332.31 to 332.45 relating to collection agencies are hereby transferred to and imposed upon the commissioner of commerce. The term “collection agency” shall not include persons whose collection activities are confined to and are directly related to the operation of a business other than that of a collection agency such as, but not limited to banks when collecting accounts owed to the banks and when the bank will sustain any loss arising from uncollectible accounts, abstract companies doing an escrow business, real estate brokers, public officers, persons acting under order of a court, lawyers, trust companies, insurance companies, credit unions, savings associations, loan or finance companies unless they are engaged in asserting, enforcing or prosecuting unsecured claims which have been purchased from any person, firm, or association when there is recourse to the seller for all or part of the claim if the claim is not collected. § 332.33 LICENSING AND REGISTRATION. Subdivision 1. Requirement. Except as otherwise provided in this chapter, no person shall conduct within this state a collection agency or engage within this state in the business of collecting claims for others as defined in sections 332.31 to 332.45, without having first applied for and obtained a collection agency license. A person acting under the authority of a collection agency, as a collector, must first register with the commissioner under this section. A registered collector may use one additional assumed name only if the assumed name is registered with and approved by the commissioner. Subd. 2. Penalty. A person who carries on business as a collection agency without first having obtained a license or acts as a collector without first having registered with the commissioner pursuant to sections 332.31 to 332.45, or who carries on this business after the revocation, suspension, or expiration of a license or registration is guilty of a misdemeanor. a conspicuous place in the office where the business is transacted. The fee for each collection agency license is $500, and renewal is $400. The fee for each collector registration and renewal is $10. A collection agency licensee who desires to carry on business in more than one place shall procure a license for each place where the business is to be conducted. managerial personnel employed by or associated with the applicant. Subd. 5. Collection agency license issuance. Every application for a collection agency license or renewal shall be acted upon promptly by the commissioner but in no event more than 45 days after receipt of the application. Each applicant may be issued a temporary license after submitting a complete application which meets all requirements for licensure. This license shall be effective until a permanent license is issued by the commissioner. If the application complies in form and substance with sections 332.31 to 332.45 and the rules adopted under those sections and the commissioner finds that the applicant is qualified under sections 332.31 to 332.45, the commissioner shall issue a license immediately. If the application is not sufficient in form or substance, the commissioner shall reject it and notify the applicant of the manner in which it is deficient. The rejection is without prejudice to the filing of a new application. On finding that the applicant is not qualified under sections 332.31 to 332.45, the commissioner shall reject the application and shall give the applicant written notice of the rejection and the reasons for the rejection. the individual may begin to perform the duties of a collector and may continue to do so unless the licensed collection agency is informed by the commissioner that the individual is ineligible. Subd. 6. Deposit of fees. All money received by the commissioner under this section shall be deposited in the general fund of the state treasury. Subd. 7. Notice. A licensed collection agency or registered individual collector must give the commissioner written notice of a change in personal name, company name, address, or ownership not later than 15 days after the change occurs. Subd. 8. Screening process requirement. Each licensed collection agency must establish procedures to follow when screening an individual collector applicant prior to submitting an applicant to the commissioner for registration. The commissioner may review the procedures to ensure the integrity of the screening process. Failure to establish these procedures is subject to action under section 332.40. § 332.335 EXEMPTION FROM LICENSURE. Subdivision 1. Requirements. An exempt out-of-state collection agency, as defined by section 332.31, subdivision 7, that has obtained a certificate of exemption under subdivision 2 is exempt from the collector registration requirements and collection agency licensing requirements of this chapter, but is subject to all other provisions of sections 45.027 and 332.31 to 332.45.
collection activities in Minnesota, including compliance with this chapter and chapter 45. Subd. 3. Notice. An exempt out-of-state collection agency must advise the commissioner of any material changes to the information submitted in the most recent application within ten days of the change. United States Code, title 15, sections 1691 to 1693r. The commissioner of commerce shall require each collection agency licensee to annually file and maintain in force a corporate surety bond, in a form to be prescribed by, and acceptable to, the commissioner, and in a sum of at least $20,000. A collection agency may deposit cash in and with a depository acceptable to the commissioner in an amount and in the manner prescribed and approved by the commissioner in lieu of a bond. § 332.35 PRIOR CONVICTION OR JUDGMENT AS DISQUALIFICATION. No registration shall be accepted for, and no license shall be issued to, any person, firm, corporation or association who or which, or any of the officers of which have, within the past five years, been convicted in any court of fraud or any felony or have been convicted of or had judgment entered against them in any court for failure to account to a client or customer for money or property collected by them for the client or customer. No registration shall be accepted for, and no license shall be issued to, any attorney whose license to practice law has been suspended or revoked, for a period of five years after the date of such suspension or revocation. § 332.355 AGENCY RESPONSIBILITY FOR COLLECTORS. The commissioner may take action against a collection agency for any violations of debt collection laws by its debt collectors. The commissioner may also take action against the debt collectors themselves for these same violations. § 332.38 APPLICATION IN CASE OF PRETENDED PURCHASE, ASSIGNMENT OR USE OF A FICTITIOUS NAME. The provisions of sections 332.31 to 332.45 shall apply to any person who, by any device, subterfuge or pretense, makes a pretended purchase or takes a pretended assignment of accounts from another for the purpose of evading provisions of sections 332.31 to 332.45, or, uses a fictitious name or any name other than the person’s own name which would indicate to the debtor that a third person is collecting or attempting to collect such account or claim. § 332.385 NOTIFICATION TO COMMISSIONER. The collection agency licensee shall notify the commissioner of any employee termination within ten days of the termination if it is in whole or in part based on a violation of this chapter. The attorney general or the county attorney of any county may apply for an injunction in district court to enjoin any violations of sections 332.31 to 332.45, or any practices prohibited in section 332.37, and any such court may issue temporary or permanent injunctions as the circumstances shall require. Such injunctive proceedings shall be in addition to and not in lieu of penalties and remedies otherwise provided in sections 332.31 to 332.45. § 332.395 COMMISSIONER’S POWER OVER INEFFECTIVE LICENSES AND REGISTRATIONS. (1) institute a proceeding under section 45.027 within two years after the license or registration was last effective and enter a revocation or suspension order as of the last date on which the license or registration was in effect; (2) impose a civil penalty as provided for in section 45.027, subdivision 6 . § 332.40 INVESTIGATION, SUSPENSION, AND REVOCATION OF LICENSES OR REGISTRATIONS. Subdivision 1. Examination of licensee’s or registered individual collector’s records. The commissioner of commerce may make examinations of the collection records of a licensee or registered individual collector at a reasonable time and in a scope as is necessary to enforce the provisions of sections 332.31 to 332.45, and for that purpose the commissioner shall have free access to the books and records of a licensee or registered individual collector relating thereto. If a licensee or registered individual collector violates any provision of sections 332.31 to 332.45, or any administrative rules issued pursuant to sections 332.31 to 332.45, fails to maintain its financial condition sufficient to qualify for licensure or registration on an original application, or, fails to maintain its registration or comply with all of the requirements of chapter 303, the commissioner may, after notice and hearing in accordance with the provisions of the laws of this state governing proceedings before administrative agencies, revoke a license or registration, or suspend a license or registration for a period as the commissioner deems proper. Subd. 2. Other examinations. The commissioner may investigate within or without this state as the commissioner deems necessary to determine whether any person has violated any provision of the Fair Debt Collection Practices Act of 1977, or of sections 332.31 to 332.45, or any rule or order thereunder; to determine whether a license or registration should be issued, renewed, or revoked; to aid in the enforcement of sections 332.31 to 332.45; or in prescribing rules and forms thereunder. The commissioner may publish information concerning any violation of sections 332.31 to 332.45 or any rule or order thereunder. Subd. 3. Commissioner’s powers. For the purpose of any investigation or proceeding under sections 332.31 to 332.45, the commissioner or any person designated by the commissioner may administer oaths and affirmations, subpoena collection agencies or collectors and compel their attendance, take evidence and require the production of any books, papers, correspondence, memoranda, agreements or other documents or records which the commissioner deems relevant or material to the inquiry. The subpoena shall contain a written statement setting forth the circumstances which have reasonably caused the commissioner to believe that a violation of sections 332.31 to 332.45 may have occurred. In the event that the collection agency or collector refuses to obey the subpoena, or should the commissioner, upon completion of the examination of the collection agency or collector, reasonably conclude that a violation has occurred, the commissioner may examine additional witnesses, including third parties, as may be necessary to complete the investigation. Any subpoena issued pursuant to this section shall be served by certified mail or by personal service. Service shall be made at least 15 days prior to the date of appearance. Subd. 4. Court order to compel disclosures. In case of contumacy by or refusal to obey a subpoena by any person the district court upon application by the commissioner may issue to the person an order directing the person to appear before the commissioner or commissioner’s designee to produce documentary evidence if so ordered or to give evidence touching the matter under investigation or in question. Failure to obey the order of the court may be punished by the court as a contempt of court. § 332.42 REPORTS AND RECORDS. responsible to carry on a collection agency business within the intents and purposes of sections 332.31 to 332.45. Subd. 2. Record keeping. The commissioner shall require the collection agency licensee to keep such books and records in the licensee’s place of business in this state as will enable the commissioner to determine whether there has been compliance with the provisions of sections 332.31 to 332.45, unless the agency is a foreign corporation duly authorized, admitted, and licensed to do business in this state and complies with all the requirements of chapter 303 and with all other requirements of sections 332.31 to 332.45. Every collection agency licensee shall preserve the records of final entry used in such business for a period of five years after final remittance is made on any amount placed with the licensee for collection or after any account has been returned to the claimant on which one or more payments have been made. § 332.43 DELINQUENT COLLECTION AGENCIES. Subdivision 1. Appointment of receiver. If the commissioner shall determine that a collection agency licensee is insolvent or has collected accounts but has failed to remit money due to any claimant within 45 days from the end of the month in which collection was made, or when the license of a collection agency has expired or terminated for any reason whatsoever, the commissioner, on determining such action necessary to protect the public interest, may apply to the district court for the county in which the main office of such agency is located for appointment of a receiver to receive the assets of the collection agency licensee for the purpose of liquidating or rehabilitating its business and or for such other relief as the nature of the case and the interest of the claimants may require. The reasonable and necessary expenses of the receivership shall constitute the first claim on the bond. The commissioner of commerce shall make and file in accordance with the provisions of chapter 14, all reasonable rules as shall be necessary for the administration of sections 332.31 to 332.45. 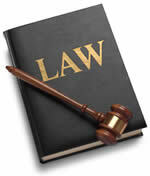 § 332.45 LIABILITY OF SURETIES. Sureties for collection agencies who have executed bonds pursuant to Minnesota Statutes 1967, sections 332.01 to 332.03 shall not be liable for any new liabilities incurred by the collection agency after the commissioner of commerce has approved that agency’s bond as required by section 332.34. Knowing and abiding to the proper Minnesota debt collection laws is important for both creditors and collection agencies alike. There are debtor’s rights attorneys who are just waiting for creditors or collection agencies to slip up. If you mistakenly violate the Minnesota debt collection laws, you could create a liability for your business and even open yourself up to a expensive lawsuit. Please note: Minnesota debt collection laws can change over time, and you need to consult with an attorney before you use this information.